Czech Cookbook was founded by Kristýna Koutná. Kristýna was born and raised in former Czechoslovakia (now the Czech Republic) in the beautiful city of Brno, right in the heart of Europe. 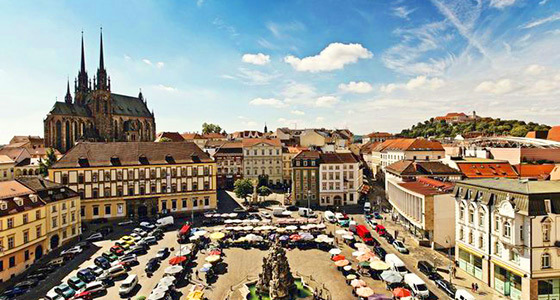 Brno is one of the largest cities in the Czech Republic, second in size only to the capital city, Prague. She found the love of cooking at a very young age and has become the face of authentic Czech recipes around the world. 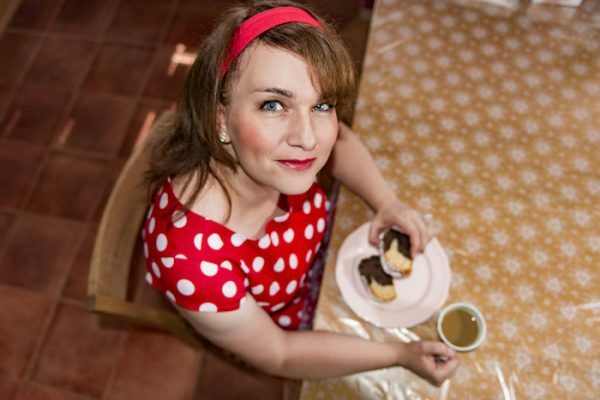 She resides in California where she runs Czech Cookbook from her home by making video recipes, authoring cookbooks, keeping Czech traditions alive and breathing life into Czech culture for new generations. She also runs a thriving online community for Czechs all over the world. Czech Cookbook is absolutely passionate about keeping the heartbeat of Czech culture alive and strong. By breathing new life into authentic Czech meals by converting them to English with US measurements and US ingredients, thus unlocking them for newer generations of English speaking Czechs all over the world. Providing free, highly detailed tutorial videos that allow even beginners to master the most traditional Czech meals. The heartbeat of Czech Cookbook is to revive Czech culture for three main audience groups. 3) people who visited the Czech Republic and fell in love with the food. She recreates traditional recipes that will wow your friends and impress even the most hardened connoisseur. Kristyna has been cooking traditional Czech meals since she was a young girl, learning and perfecting incredible recipes handed down from her grandmother and mother. Ahoj Kristyna, can you tell us more about yourself? I was born and raised in former Czechoslovakia. 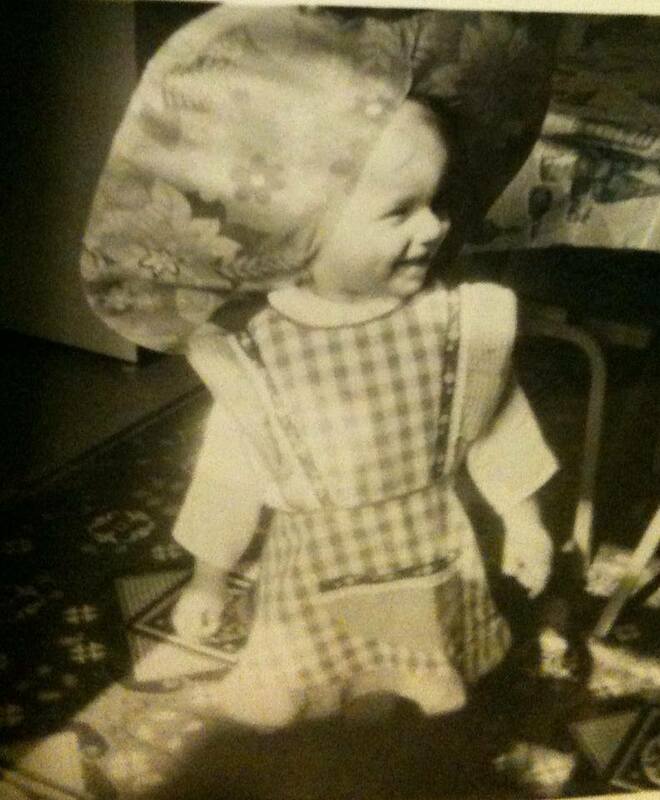 As a little girl, my sister and I would help my mom cook and bake. Especially during Christmas time we would roll the dough in proper shapes and try our best to be more help than trouble. My favorite Christmas gift would be Czech cookbooks. I would spend hours looking through recipes and trying to recreate them. My family was happy to be my taste tasters. I have always loved cooking. When I moved to the u.S.A., I realized I can’t just go to a regular grocery store and buy famous Czech dumplings or other Czech cuisine essentials. That is when I started to recreate Czech recipes using more commonly found ingredients and the imperial measurement system. I love what I do and how much it helps others. I am self taught from a place of burning passion. I also learned a lot from watching my grandma cook and bake. The challenge has been to cook here in the USA using ingredients that are different than in the Czech Republic. I feel honored to be a pioneer for recreating recipes using only commonly found US ingredients and matching the taste as I know from the Czech Republic. I receive amazing feedback daily from people all over the world. 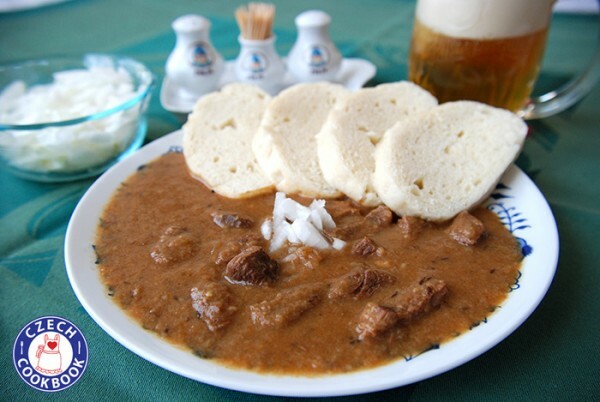 For example, people often tell me my beef goulash recipe is better than what they remember having in Prague. It’s very humbling to receive such feedback and I am so thankful. I want everyone in any place on Earth to be able to recreate Czech recipes and enjoy meals that are no longer trapped in the Czech language or the metric system. That is what lead me to start making YouTube cooking videos. What makes Czech cuisine unique? What differentiates it from other European cuisines? Since long ago, we used to be part of the Austrian Hungarian Empire, some dishes evolved from those times and are still similar with some variations in central European countries. Czech people are very frugal and resourceful which created some unique and delicious meals. One thing I found unique is that we can serve a sweet meal as a main meal, which others would consider dessert. I have also noticed that among central European countries, the only other country who has similar dumplings is Slovakia. Since we used to be Czechoslovakia, the Czech Republic and Slovakia have many similar dishes. However, we still have some unique dishes that are specific only in the Czech Republic or only in Slovakia. It’s also quite common for many recipes to have slight variations based on different families or regions throughout the Czech Republic. 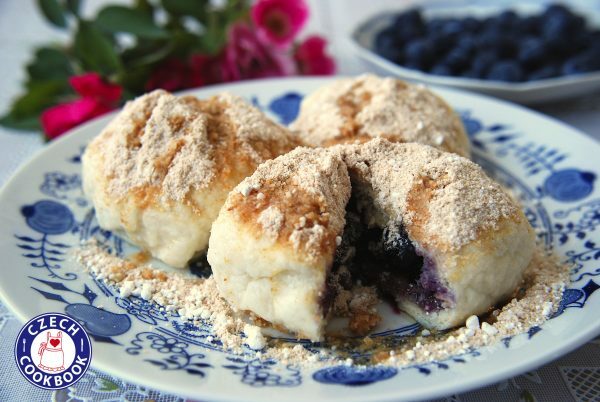 What is your favorite Czech recipe or the most unusual dish of the country? I don’t think I have only one favorite dish. But every time I go back home, I make sure to have svíčková na smetaně (beef sirloin with cream sauce), smažený sýr (breaded fried cheese) and vepřové koleno (pork knuckle). 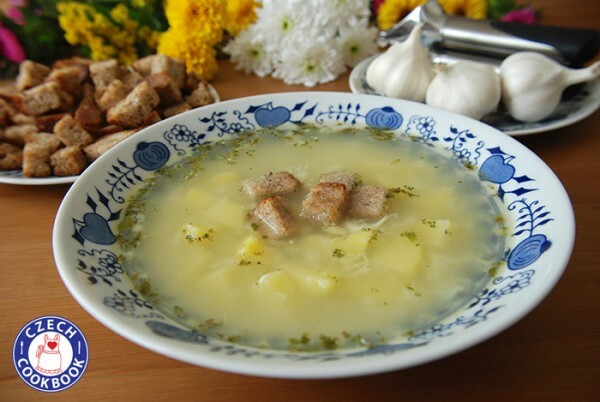 An unusual dish is probably držková polévka (tripe soup) made out of cow stomach, which I also enjoy. 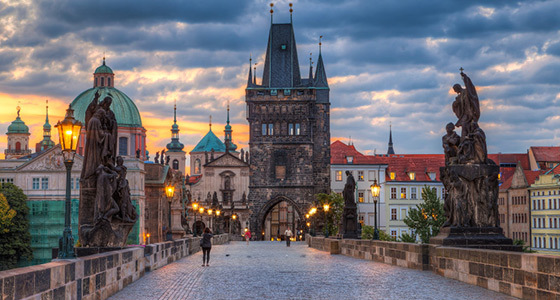 Which place would you recommend to visit in the Czech Republic? Definitely our capital, breathtaking Prague. You will find many restaurants serving traditional Czech meals. My hometown Brno, which is the second largest city in the Czech Republic is also worthy of checking out. It is less touristy and has lots of restaurants and cafés. 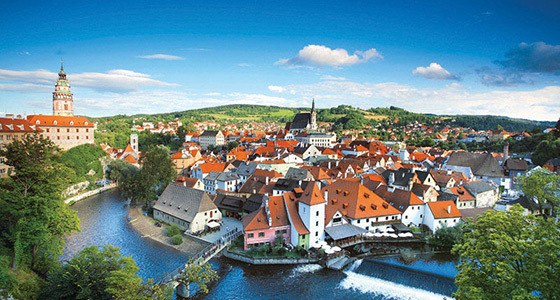 Another beautiful place to see is Český Krumlov and Karlštejn castle, in the countryside. What Czech chef is a reference for you? 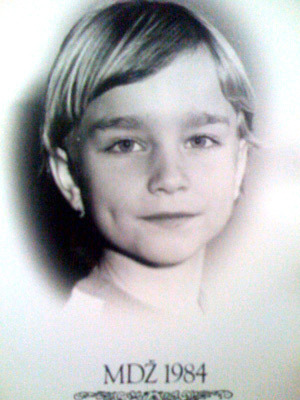 My beloved grandmother Olga was the one whose passion of cooking was imparted to me. I am so thankful that I could watch her cook in her tiny studio apartment. She didn’t even have a full kitchen. She used two propane burners and a small electric oven that you would just plug in. It didn’t stop her from making delicious meals and baked goodies. She lived very close to my family so many times when we returned from a trip and find her with delicious pastries or meals ready. She just loved to bless our family. My mom is the one who inherited my grandmother’s hand written recipe book, which is a huge treasure and I love to look through it for inspiration. What are the main difficulties in Czech cuisine? A very common side, which is historically challenging to make from scratch and so most Czechs buy it pre-made in the grocery stores is traditional dumplings. Our top three national dishes are paired with dumplings so you know they are huge deal for us. They are not easy to make and to make them, you have to use a special flour that is more coarse. I was able to find similar flour that works here in the USA and thanks to many of my viewers outside of the US who tell me what is the best coarse flour to use in their nation, I am able to help others. After much time and effort, I was able to achieve a dumplings recipe that is easy, reliable, and absolutely delicious. We have the saying if you know how to successfully make dumplings, you are ready to get married. What would you suggest if you had to prepare a complete Czech menu: starter, main course, dessert? Delicious soups are a very common starter and we have a saying that soup prepares the stomach for the main course. For the soup, I would recommend the very popular garlic soup. As a main meal, beef goulash served with dumplings, and as a dessert, an apple strudel. Lastly any proper Czech meal must be served with a large beer, preferably Pilsner Urquell, which can be found in stores all over the world. 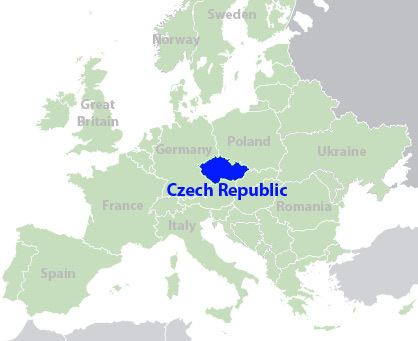 Map highlighting the Czech Republic’s location in central Europe.